Even in those moments where I feel utterly defeated and continuing seems impossible ~ the LORD prevails! God planted this verse in my heart during a difficult swim recently, at the point where fatigue was beginning to raise its voice with determination to be listened to! My body was beginning to fail me, but GOD strengthened me to the end! Such a blessing to know we can call on Him! Love this! 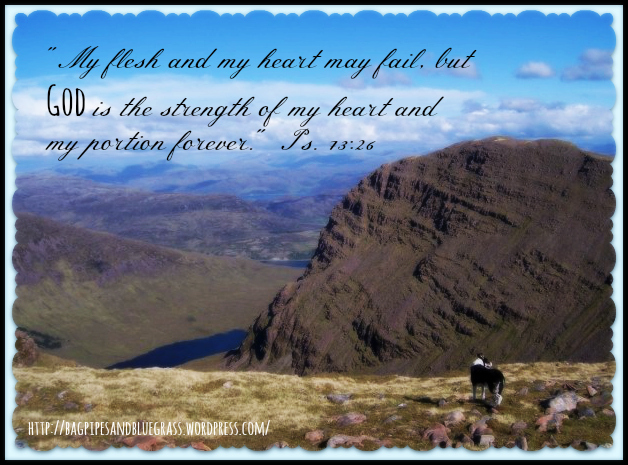 YES, He is our strength and portion!! Thank you for sharing your photo with us today! !